SynBioSys Fynbos is an information system on sustainable management of biodiversity in the Cape Floristic Region. It brings together a wide range of data on the ecology, geography and sustainable use of species and habitats within the Fynbos biome in its wider context. The entire system is data driven, open ended and large datasets can be analysed. SynBioSys Fynbos incorporates a GIS platform for the visualisation and analysis of layers of information on different levels (species, ecosystem, landscape). SynBioSys Fynbos has been developed to provide a wide range of stakeholders with an accessible and user friendly tool to gain insight into the rich botanical resource that is found in the Fynbos region. These stakeholders include planners, farmers, decision makers and implementers at all levels of government, consultants, researchers, students, amateur botanists, tour guides and the general public. Hopefully this information system will contribute to improved understanding and wiser decision making regarding the management of natural resources in the Cape Floristic Region, so as to conserve the incredible biodiversity of Fynbos ecosystems in South Africa. 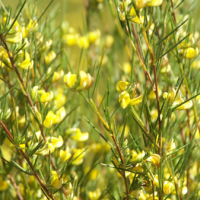 SynBioSys Fynbos contains a general section and currently two sub-sections (modules). The general section of the information system deals with the Fynbos biome and allied ecosystems in the Cape Floristic Region. 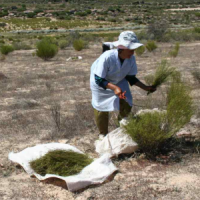 The first module focuses on Rooibos (Aspalathus linearis), and in particular on the position of wild rooibos within the Fynbos biome and its sustainable management for tea production. The second module deals with the Baviaanskloof Mega Reserve. The uniqueness of this area is that it is geographically located in a transition zone between various ecosystems. It hosts seven of the eight national biomes.